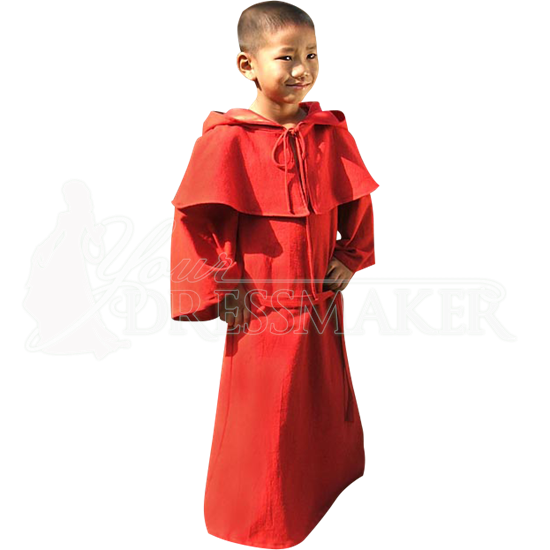 The Childs Hooded Medieval Robe is a great robe that comes in a variety of colors. The Childs Hooded Medieval Robe is a two piece ensemble that consists of the robe and hood. 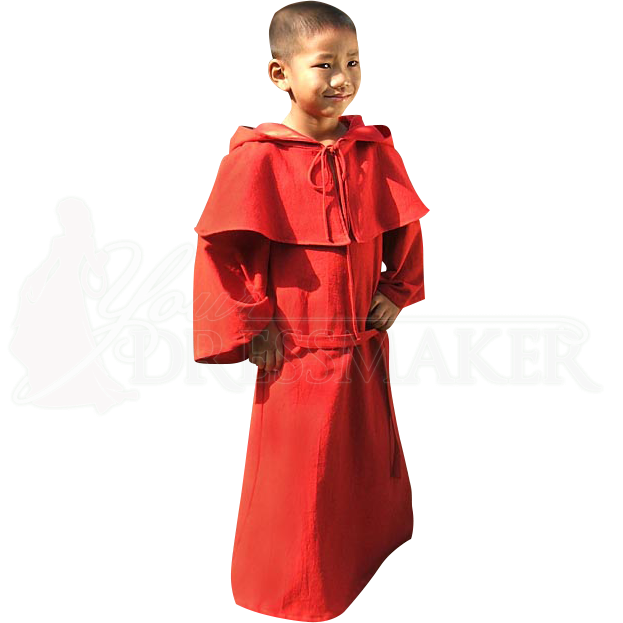 The Childs Hooded Medieval Robe is made of 100% cotton and is machine washable. The robe and the hood with shoulder cape is lined. The Childs Hooded Medieval Robe would be great to wear at a medieval faire or event.